Dr. Blye Frank, Dean, Faculty of Education, the University of British Columbia, hosts the third installment of FRANKLY SPEAKING on Wednesday, October 17th, 2018. In the spirit of ideas worth advancing, the theme will be Indigenous Education. In 2015, the Truth and Reconciliation Commission of Canada released a list of 94 Calls to Action that would start the reconciliation process between Indigenous people and the settlers of Canada. The reconciliation process is indeed a process – a process that starts with education. And through education, we better understand the history, policies, practices and decisions that affect First Nations in Canada, and that have led us to today. The Right Honourable Paul Martin will introduce The Martin Family Initiative (MFI), a charitable organization created by his family to improve educational outcomes among Aboriginal youth through innovation and collaboration. FRANKLY SPEAKING provides alumni and friends of UBC’s Faculty of Education with the opportunity to hear from prominent speakers on featured topics relevant to the field of education. For more than 45 years, Dr. Archibald, Q’um Q’um Xiiem, Indigenous scholar, author and leader in the advancement of Indigenous education, has inspired many students and colleagues. A professor of Educational Studies, Dr. Archibald (B.Ed ’72) served as associate dean for Indigenous Education and director of the Indigenous Teacher Education Program (NITEP). Member of the Stó:lō Nation, Dr. Archibald is described as a visionary and an agent of change, and is nationally recognized for creating culturally relevant curriculum, teacher education and graduate programs for Indigenous and non-Indigenous students. Her work transformed the learning landscape through curriculum and program development, policy, teaching, and research. Author of Indigenous Storywork: Educating the Heart, Mind, Body, and Spirit, (UBC Press, 2008), one of Archibald’s research themes focuses on storytelling, and much of her pedagogy focuses on intergenerational learning and mentoring. 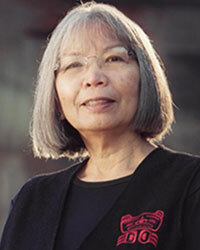 In 2000, Dr. Archibald received a National Aboriginal Achievement Award for Education and an AERA (American Education Research Association) Scholars of Color Distinguished Career Contribution Award in 2013. In 2015, she was presented with the UBC Killam Award for Excellence in Mentoring. She also received the Association of BC Deans of Education 2017 award for Lifelong Service to Education. 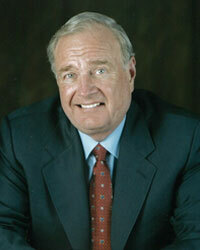 The Right Honourable Paul Martin was Prime Minister of Canada from 2003 to 2006 and Minister of Finance from 1993 to 2002. During his tenure as Minister of Finance, he erased Canada’s deficit, subsequently recording five consecutive budget surpluses while paying down the national debt and setting Canada’s debt-to-GDP ratio on a steady downward track. He was the co-founder of the Finance Ministers’ G-20, and in September 1999 was named its inaugural chair. During his tenure as Prime Minister, Mr. Martin set in place a ten year, forty-one billion dollar plan to improve health care and reduce wait times; signed agreements with the provinces and territories to establish the first national early learning and child care program and created a new financial deal for Canada’s municipalities. Under his leadership the Canadian Government reached an historic deal with Aboriginal people of Canada to eliminate the existing funding gaps in health, education and housing known as the Kelowna Accord. After leaving public life, Mr. Martin created the Capital for Aboriginal Prosperity and Entrepreneurship (CAPE) Fund, an investment fund investing in Indigenous business and founded the Martin Family Initiative (MFI) focusing on the early childhoods and elementary and secondary education of Indigenous children and youth. The mission of MFI is to walk alongside Indigenous experts, communities and leaders to ensure that the educational opportunities from birth through to secondary school for Indigenous children are as good as any in the country and are culturally appropriate. Mr. Martin has advised the African Development Bank and works closely with the Advisory Council of the Coalition for Dialogue on Africa, sponsored by the African Union, the UN Economic Commission for Africa and the African Development Bank. He was a founding co-chair of the Congo Basin Forest Fund, a 200 million dollar British-Norwegian-Canadian poverty alleviation and sustainable development fund for the Congo Basin Rainforest. Mr. Martin was also a commissioner for the Global Ocean Commission. Before entering politics, he had a distinguished career as Chairman and Chief Executive Officer of The CSL Group Inc., the largest self-unloading shipping company in the world. Its acquisition by Mr. Martin in 1981 represented the most important leveraged buyout in Canada at that time. 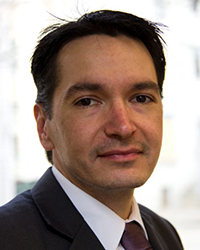 Kevin Lamoureux serves as the Associate Vice-President, Indigenous Affairs at the University of Winnipeg, as faculty at the University of Winnipeg and the University of Manitoba, and is a well-known public speaker. Lamoureux has served as co-Chair for the Provincial Task Force on Educational Outcomes for Children in Care, scholar-in-residence for several school divisions, and education consultant throughout Manitoba and across Canada. His writing has been featured frequently in newspapers and many academic journals. Lamoureux is working towards his PhD in the University of Manitoba’s Wellness and Sustainability cohort. He works closely with schools throughout Manitoba in support of Indigenous education and the inclusion of Indigenous perspectives; enrichment and talent development, and works with troubled and disengaged students. Can’t make it in person? Please tune in to our Frankly Speaking 2018 Livestream on October 17th at 6PM to join us remotely. Questions? Please contact education.alumni@ubc.ca or 604 827 2221.